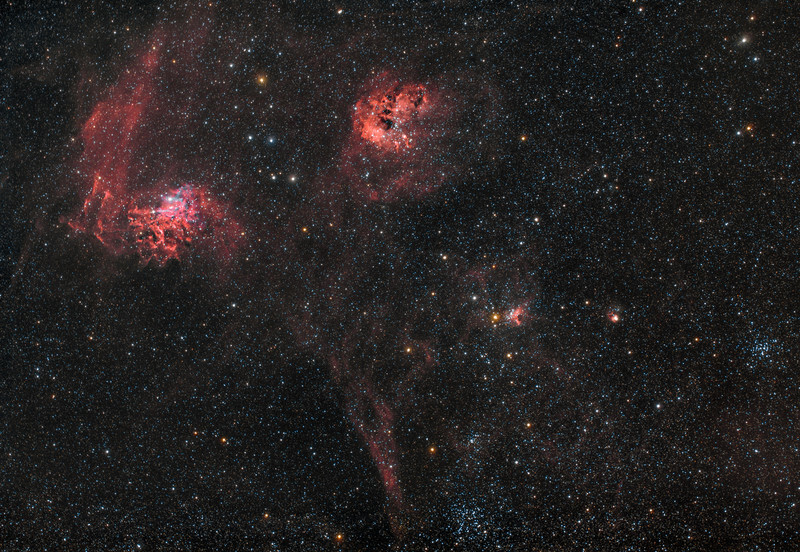 On the left the Flaming Star nebula (IC405) , top center the Tadpoles (IC410), the bottom the StarFish Cluster (M38), and right side the Pinwheel Cluster (M36). Image taken by Lynn Hilborn, WhistleStop Obs, Grafton, Ontario on Nov 3 and 7 ,2015. 6 hours of exposure. TS71 @ f5 and Canon 6d modified. 18x10m 3200 ISO and 6x30m with fullframe 12nm Ha filter 3200 ISO.